Are you looking to start a career in the leisure industry? Kettering Leisure Centre are offering a Leisure Assistant Apprenticeship and are looking for enthusiastic individuals to join our team. 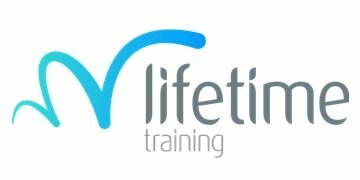 This is a 12-15 month apprenticeship, training will be provided to work towards an Level 2 in Leisure Operations and RLSS National Pool Lifeguard Qualification. • Preparing activity areas to include the safe setting up/dismantling of equipment and ensuring that all equipment is stored safely and securely when not in use. • Monitoring and helping to maintain a safe and comfortable leisure centre environment by implementing organisational maintenance schedules. • Ensuring the highest possible standards of hygiene and cleanliness are maintained by carrying out routine and other cleaning tasks when required. • Assisting customers with enquires in a friendly and effective manner, proactively developing and maintaining high standards of customer care. • Resolving customers’ problems, including situations where there is disagreement over the actions and outcomes involved. • Working as part of a team to ensure the smooth operation of the facility. • Following Normal and Emergency Operating Procedures. • Accurately filling in forms or reports relating to their normal duties. • Taking occasional responsibility for the induction and development of new members of staff. • In a wet-side facility, supervising the safety of the swimming pool environment and working to prevent accidents and emergencies. • Meeting the training and development requirements of the job role. • Working within the job role description at this level, recognising the standards and professional limitations that this provides, referring to appropriate members of staff for guidance and support. A Recreation Assistant is responsible for the cleaning, preparation and general safety of areas in a sport and recreation facility. In ‘wet-side’ facilities they will have a key responsibility for the safety of customers in the swimming pool and its surrounding areas. In ‘dry-side’ facilities there may be a greater emphasis on the setting up, taking down and storage of equipment. In both cases Recreation Assistants are the first point of contact with customers and will need strong communication and social skills. 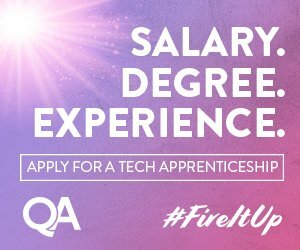 Through work experience, coaching, training and development (both practical and vocational), and from completing a structured learning programme to obtain work related qualifications, develop and demonstrate both an understanding of and capability to carry out the activities of a practising Leisure Assistant / Lifeguard. If you are a strong swimmer, keen to learn and an enthusiastic team player Apply now.